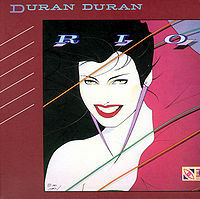 First released in 1982, Duran Duran’s second album Rio was their breakthrough and is now considered a classic. It was the definitive musical statement of British new romanticism for its art rock and disco rhythms. Sure it has two of the band’s most beloved hit songs in the title track and “Hungry Like the Wolf” (both of which sound great and timeless nearly 30 years on), but unlike other pop albums, Rio doesn’t contain throwaways or filler. There are disco-influenced rockers in “My Own Way, “Lonely In Your Nightmare,” and “Last Chance on the Stairway”; the gorgeous ballad “Save a Prayer”; and the weirdly hypnotic closing track “The Chauffer”. This new edition of Rio includes U.S. remixes, demos and B-sides that now give an already great record the deluxe treatment. Simultaneously Duran Duran’s previously unreleased performance at the Hammersmith from 1982 is now seeing the light of day both in CD and DVD formats. Live From Hammersmith ’82 a great snapshot of the classic Fab Five lineup at the beginning of the mania that was about to set the world on fire. Playing a set list drawing from the self-titled debut and Rio, Duran Duran gives an energetic and exciting performance, dispelling any notion that they’re just pretty boys on the surface: singer Simon Le Bon prancing along the stage; John Taylor and Andy Taylor rocking on the bass and guitar respectively; Nick Rhodes’s atmospheric keyboard playing; and Roger Taylor’s extraordinary and powerful drumming. This is truly Duran Duran at its height. In addition to the one-hour Hammersmith performance, the DVD portion of the set also contains the memorable videos from the Rio album as well as clips of the band “performing” “Rio” and “Hungry” from the legendary Top of the Pops TV program.